NOTE: SULADS Thailand is not running a secular business. This store was set up for you to shop for the materials you need. Let us know and we will help you avail a copy to help your ministry. You pay only the photocopy, the binding and the shipping. Since it is two languages (Eng-Thai), it comes in 2 volumes (2 books). These volumes are designed for missionaries, pastors and laymen who work in international church setting. 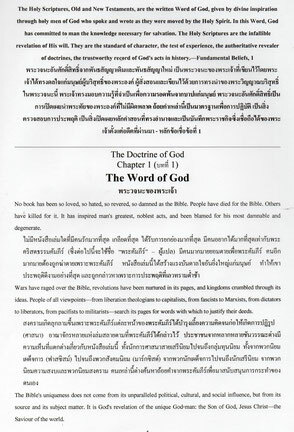 I believe every church in Thailand must have copies of this due to our language barrier that we could really explain what we believe. 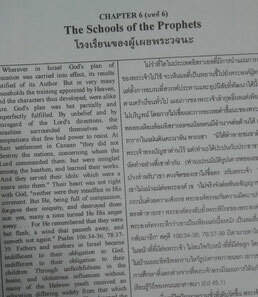 This English-Thai version is very useful in your small groups and other spiritual enrichment activities when you are handling English & Thai speaking members. It is also very useful to teach free English for Thais. At this time, the books will be produced through homemade version. Each book is bound by plastic comb binding. Let us know if you need these 2 volumes. Just donate a small amount for the photocopy and the person who will book bind it for you. If you are in Thailand, each book and the shipping cost 300 baht only. 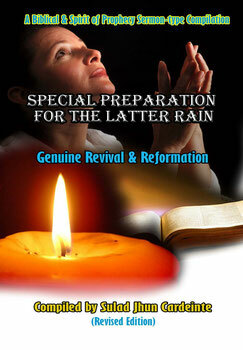 Here's a must-read compilation for spiritual revival and reformation. At this time, the book will be produced through homemade version. Let us know if you need a copy. Just donate a small amount for the photocopy and the person who will book bind it for you. If you are in Thailand, the book and the shipping cost 200 baht only. NOTE: This comes out with a new title "The Secret to Happiness"
EASY-SHARING side by side English-Thai version. 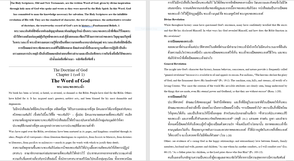 Design for revival & reformation purposes in a dual-English & Thai speaking community. 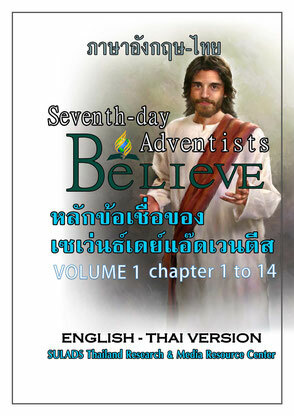 For missionaries, pastors and laymen who work in international church setting, this English-Thai version is very useful in your small groups and other spiritual enrichment activities. It is also very useful to teach free English for Thais. At this time, the book will be produced through homemade version. Let us know if you need a copy. Just donate a small amount for the photocopy and the person who will book bind it for you. 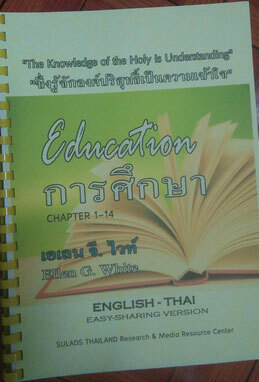 side by side English-Thai version. Design for revival & reformation purposes. 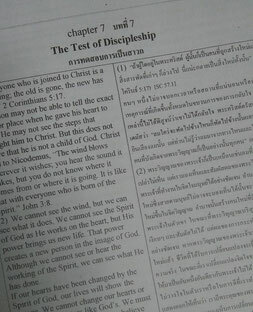 For missionaries, pastors and laymen who work in international church setting, this English-Thai version is very useful in your small groups and other spiritual enrichment activities. 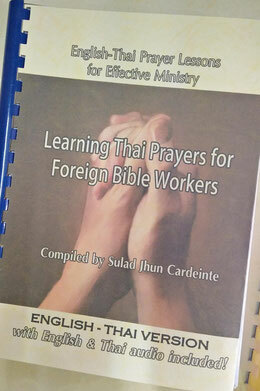 This is also useful for Thais wanting to learn English prayers. NOTE: With English & Thai mp3 audio included. 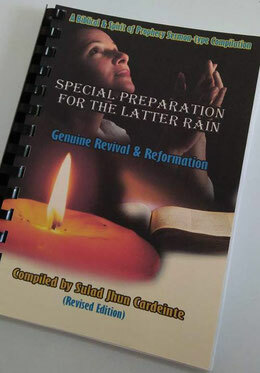 -Learn 30 Kinds of Prayers in English-Thai version (Easy and Advance ).